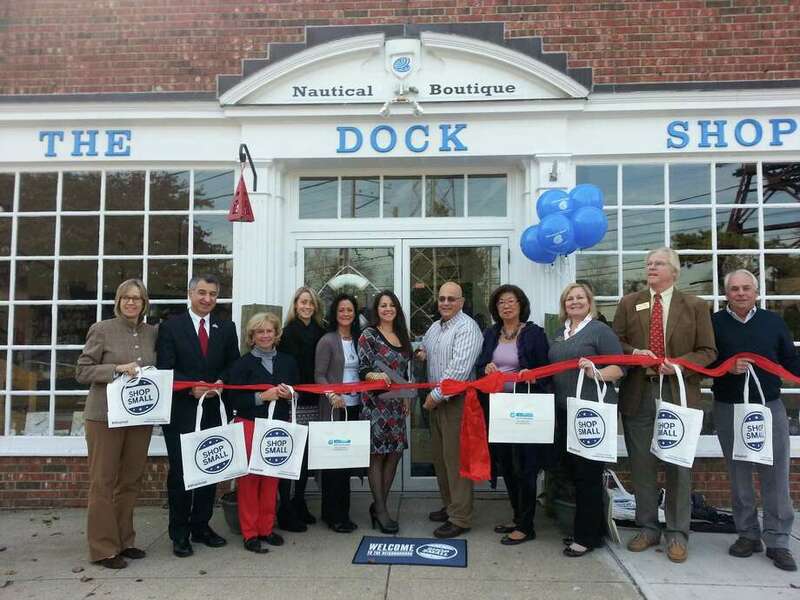 The Darien Chamber of Commerce helped to celebrate the opening on Nov. 15 of The Dock Shop in its larger and brighter space at 51 Tokeneke Road. The Dock Shop moved next door to its former site, but the new space is twice the size and gives the owners Toni Sabia and Michael La Scala the ability to vastly expand the selection of products thay can offer. "We wanted to have a wider selection for our customers and this new space allows us to do just that," La Scala said. Sabia added, "We continue to focus on products made in the USA and right here in New England and now we have the room to show a lot more." The Dock Shop sells boating supplies, hardware, electronics, fishing tackle and bait, men's and ladies clothing, jewelry, nautical books and accents. For information, call 203-956-5893 or visit www.dockshop.com.